* Revival House Press will be doing a series of stand-alone stories with the cartoonist Malachi Ward. 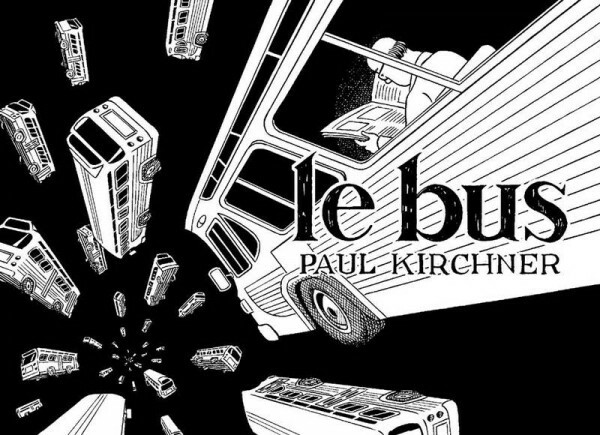 * did everyone except me know that Editions Tanibis was doing an edition of Paul Kirchner's The Bus? That's a big one to cross off of the "I wonder why no one has published a collected edition of that" list. * if you'd like some one-stop shopping -- window-shopping, anyway -- on the rest of 2012 in comics, Chris Mautner's list of comics we can anticipate is a good place to start. * just don't forget Building Stories. * DC Comics has cancelled some of the lower selling titles in its New 52 initiative in order to make room for an equal number of new ongoing titles. I'm not sure there are any surprises in either the list of cancelled books or the list of added ones. Still, while I like the idea of keeping the number of series at a stable, easy-to-remember level, giving these series eight issues to hit -- and probably less than that, considering that all the titles launched pretty well -- is a brutal reality for ongoing mainstream series. It's worth noting that some of the mainstream companies' most fruitful creative runs of the last few decades (X-Men, Daredevil) came under a system where a comic book series did generally well enough to stick around just by showing up, so they could host really young creators and new directions without a lot of scrutiny or pressure. * it looks like three of the 52 titles DC is doing are helmed by Rob Liefeld. * Walt Simonson will be working with Brian Bendis on a six-issue arc in one of the Avengers series. That's nice. * Michel Fiffe is looking to raise money to publish Zegas #2. 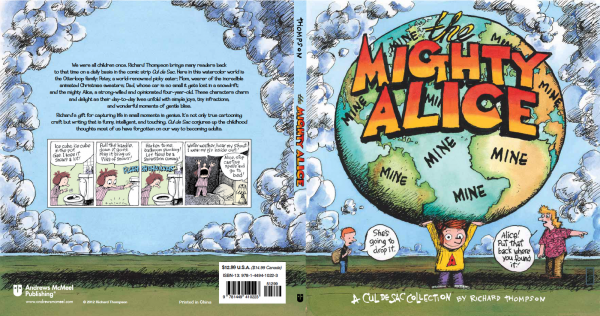 * I'm pretty lousy with combing the press releases about imminent comics releases, but new Matt Kindt and Gilbert Hernandez sounds good to me. * somehow a new Dan Zettwoch book escaped my attention. That guy is right there. * Austin English has a bunch of pages up from a forthcoming project. He also has a look at the studio of Molly Colleen O'connell in anticipation of her book this Spring. * Mark Millar and Frank Quitely will be working together on a science-fiction comic. * I love that new publisher smell. * a sneak peek at the next Peanuts volume. The Complete Peanuts has this odd quirk to it in that the strips they're getting now aren't as lauded as some of the earlier ones, but they haven't been combed over by Peanuts readers in paperback form as much, either. * Karl Stevens crushed his Kickstarter campaign. So did Max Ink. * the good folks at the FPI blog have caught that Andi Watson is repurposing some previously published material for on-line consumption. * Colleen Doran has advance images and pre-press up for Gone To Amerikay. * finally, Richard Thompson shows off the covers for the next Cul De Sac book.